Between the overpowering, blue glass buildings filled with busy business and international visitors, there is a distinct lack of culinary opportunity on St Kilda Road. As the city business bubble moves further south, more residence are beginning to move back into the area thanks to the large, gaudy apartment developments, slowly but surely dominating the St Kilda Road skyline. So with such a lack of choice, it is fitting that one of the larger apartment blocks, The Metropolis Building, use their ground lobby space and street vantage for a quaint but purposeful eatery. The New York, Gatsby style West Village Café, opened in February, chiefly as a daytime café and breakfast joint for locals. In July, it launched a Thursday and Friday night dinner special in a bid to provide more options for those passing through or living in the area. With head chef, Glen McNab and Lance Mueller, the menu offers fast, fresh meals that are transferable between the seasons. 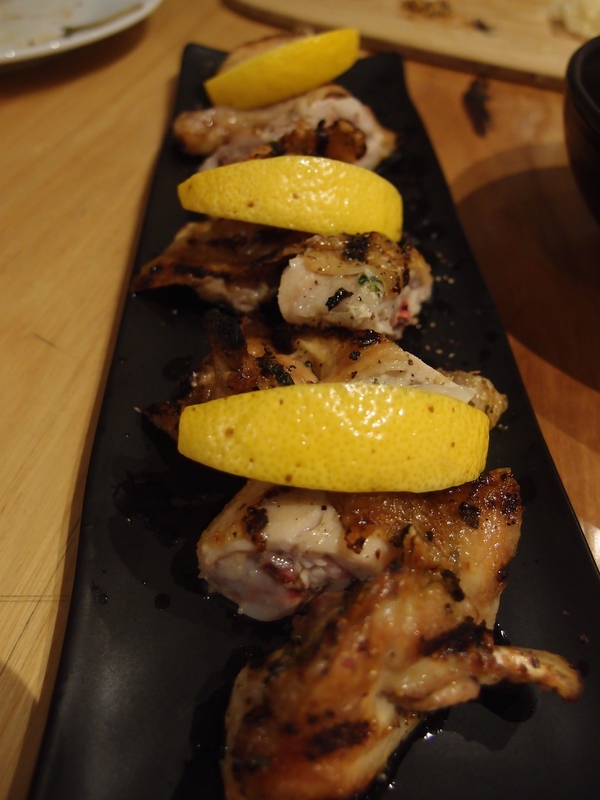 Share plates from charcuterie boards, spring rolls and Saganaki to feast size individual meat dishes offer a range of basic modern Australian meals for dinner alongside their continuing daytime trading hours for breakfast and lunch. The slated, courtyard area with several large share tables and a few smaller intimate seating options offers outdoor heating and blankets during a chilly winter night and a beautiful open style beer garden for the warmer months. Inside, separated by loft-like large iron windowpanes is a smaller seating area, coffee station and sandwich island, ideal for take away lunch visitors. The front of house is headed by Gill Reddick and with years of experience, Gill makes all guests welcome, answering questions about the food and offering great advice on the wine and craft beer selection and of course, coffee which is headed up by Naked Espresso. The food is a fusion of flavours, collaborating with Vietnamese style starters mixed in with Italian and Mediterranean staples. 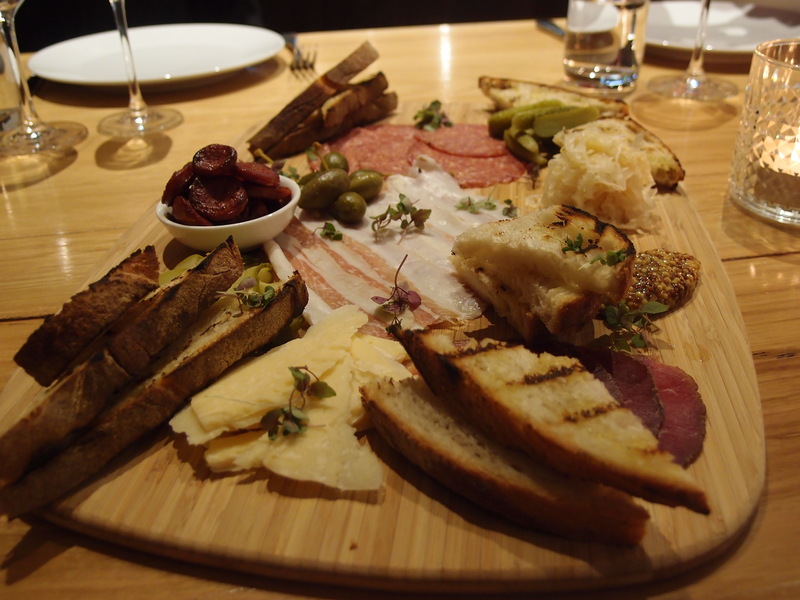 Starting off with a northern Italian-style charcuterie, the board is filled with prosciutto, salami, chorizo, bresaola, caper berries, pecorino and bread, haphazardly scattered around the large wooden chopping board. 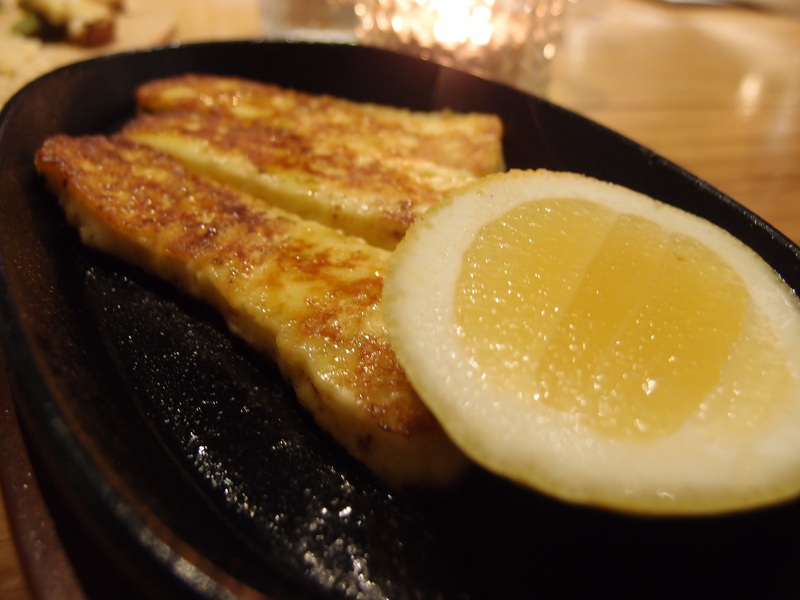 The pan fried Saganaki is made with Haloumi, creating a softer and slightly less salty experience and is served with Turkish bread and lemon; a real delight. The real stand out dish was the Hanoi-style duck spring rolls served with caramel chilli dipping sauce. 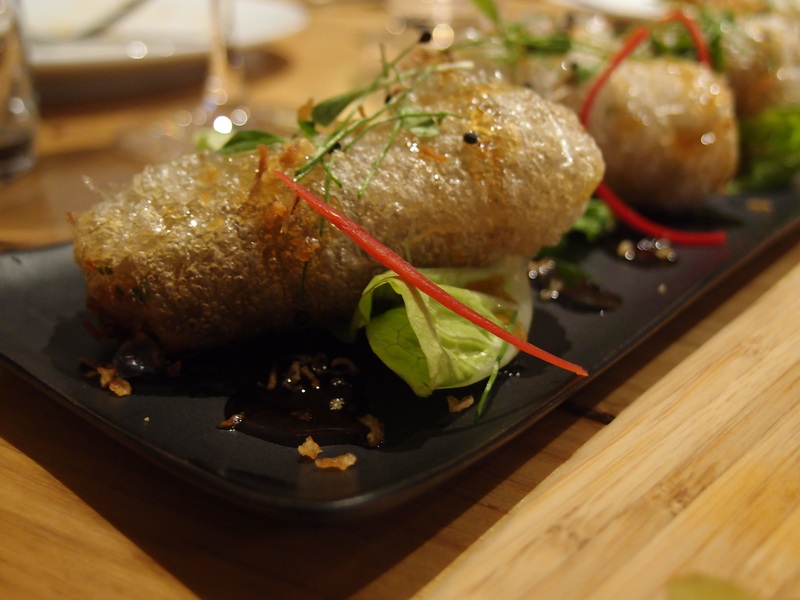 These gems are less like spring rolls and more like lightly fried rice paper rolls filled with a huge serving of melt-in-your-mouth pulled duck inside: the perfect pre-theatre snack with a glass of wine. Finally on the entrée list, a slow roasted pork belly, served with seared scallops cauliflower puree and truffle oil. 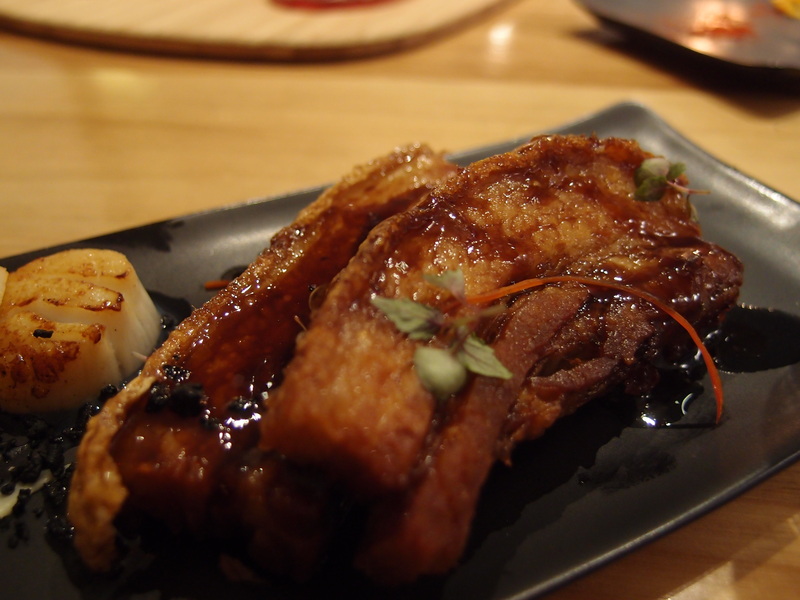 The dish was strong and bold but the right size with just enough crackling and well cooked pork. slow roasted pork belly, served with seared scallops cauliflower puree and truffle oil. The main dishes are very much back-to-basic staple favourites that are fresh and have an interesting modern fusion of mixed flavours. The oven-roasted spatcock in pan juices is light but hearty, well cooked with the perfect amount of moisture and the eye fillet steak cooked in red wine jus has large tones of Asian flavours smothered over a medium-rare cut of meat. 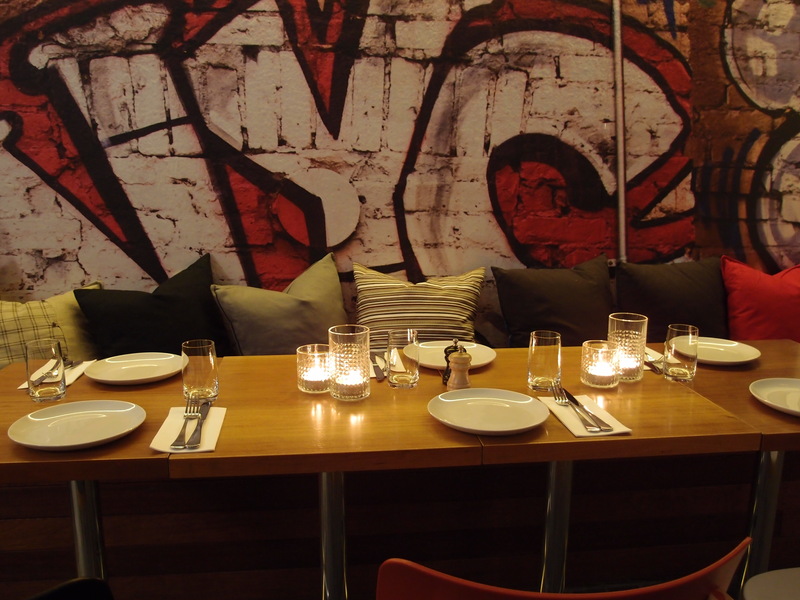 West Village Café is open for dinner on Thursday and Friday nights and is sure to prove as a great local for the inhabitants of St Kilda Road as well as theatre goers, tan runners and business heavyweights. The Global Rambler was a guest of Hot House Media and Events. 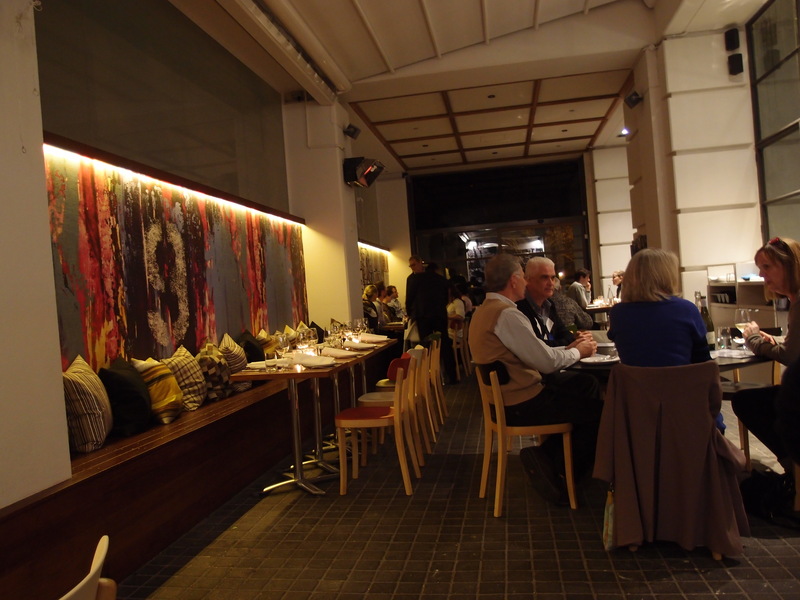 West Village Cafe is located at 480 St Kilda Road, Melbourne in the lobby space of The Metropolis Melbourne.